Canyon Lake is one of the most stunning lakes in all of America. There are photography opportunities at every turn. Even if you are not into photography the scenery is breathtaking. 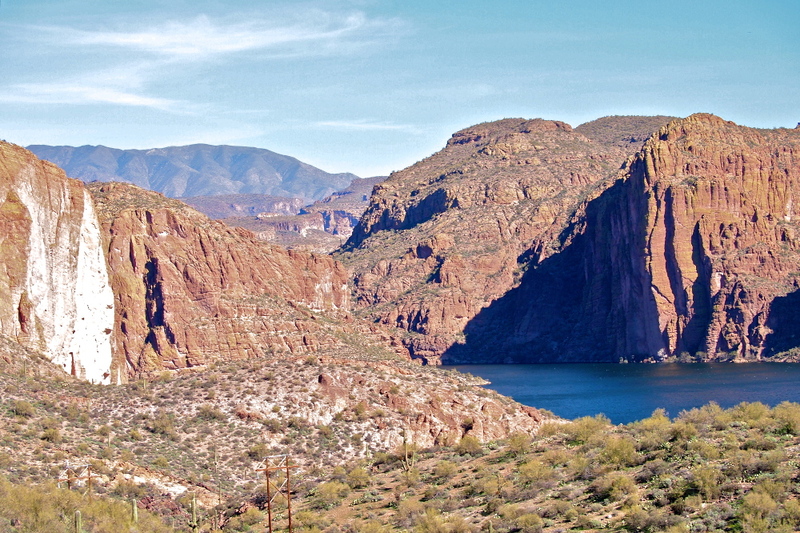 Canyon Lake is wonderful for camping, fishing, skiing, boating, and general sight seeing. There are three recreational areas located around the lake including Acacia Picnic Site, Palo Verde Recreation Site, and Boulder Creek Recreation Site. In addition to these, there are two campgrounds which are called Tortilla Flat Campground and Point Campground. If you are looking to get out and enjoy the outdoors, renting a cabin can be a wonderful way to experience it. Below are the cabin rentals that we know of on Canyon Lake.